Ready provides a full range of residential property maintenance and repair solutions across Auckland. We help homeowners and agents get places ready to sell, landlords who need their rentals efficiently cleaned and repaired, and people who want to modernise their homes so they can enjoy them for years to come. Increase the value and enjoyment of your property. Keep your rental up to standard and tenants happy. Reclaim your weekends – leave all those jobs to us. No more multiple service providers – we can cover everything. You’re in good hands with our trusted, qualified team. There’s a lot to do when you’re gearing up to sell your home. We help busy homeowners and their agents get properties in tip-top condition, fast, with carpet cleaning, house washing and pressure cleaning, building repairs, gutter cleaning, internal and external painting, plastering, and garden tidy-ups. A well-presented property attracts more buyers and boosts the sale price. Our gardeners are ready to transform your property. 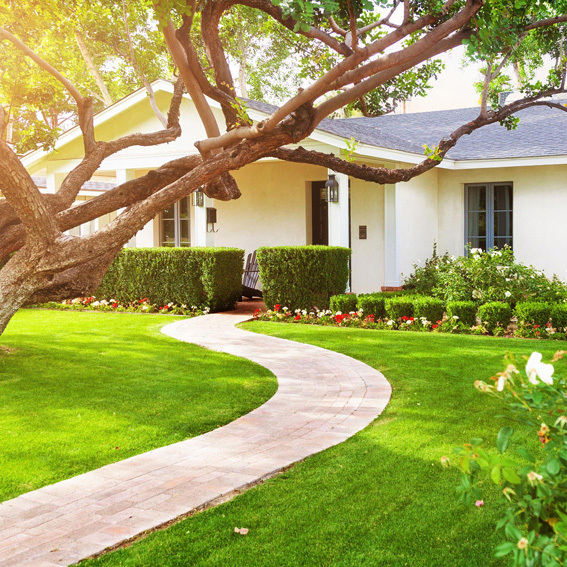 From trimming trees, pruning roses and weeding flower beds to mowing lawns and clearing undergrowth, we’ve got the ground covered. If you have a blank canvas, we can help design the garden you’re dreaming of, and do all the landscaping, including plantings, walls, fences, and paths. We’ll get the outside of your home or investment property, and hard surfaces such as pathways, drives, walls, fences, and pool areas looking as good as new with our pressure washing service. We use the latest equipment and environmentally friendly chemicals to remove dirt, grime, moss and mould build-up. We'll deep clean the entire inside of your house with eco-friendly products, focusing on oven, fridge, and key areas in kitchens and bathrooms. Our approved carpet cleaner will ensure your carpets are fresh, clean, revived, and allergen-free. We also offer a professional, safe gutter cleaning service so your spouting is free of mould and debris. Take advantage of our experienced team of licensed builders, electricians, plumbers, painters, plasterers, roofers and handymen, to sort out all those repair jobs before you list for sale, or re-let your rental. Keep your tenants happy, and bring your property up to RTA standard. We also do home renovations and additions. Use our cleaning and gardening services to maintain your property and keep it spick and span inside and out. We’ll be on the ball if you need quality work done straight away. Our cleaning experts will get your rental property tenant-ready in no time. Give your home a new lease of life – our team of property maintenance professionals can pressure wash your house and paths, do your garden, clear your gutters, and thoroughly clean the inside of your home, including the carpets. Ready’s team of tradies and handymen can take care of all house repairs, such as fixing window latches, replacing rotten boards, and redecorating. We can also undertake home improvements, for instance building on a new deck, or giving your kitchen or bathroom a fresh look. "We were very happy with the service Ready Property Maintenance provided for us. It was incredibly convenient having someone organise all aspects of getting our house ready for sale, from removing trees to paint touch-ups to landscaping. All of the members of Ready were polite, helpful and efficient. Glyn responded to queries quickly and made good recommendations on ways we could improve our property. Our house looks great and we are happy to recommend them." "The ready team were easy to deal with and very efficient, they carried out a free assessment of the work required outside and inside the home and provided an itemised quote for the owner full of good ideas on how to get the property ready for sale, they were fast and had the property ready in no time, there is no doubt they made the whole process quick and easy." "Our home looked a picture"
"Ready fixed our list of nagging problems, they plastered and painted unsightly holes in our walls, painted the bedroom and did some great work in the garden they made sure our home looked a picture when we went to market, I don't know how we could have done it all without them." We know how precious your time is. When you need a job done around the property, you want it sorted quickly, reliably, and expertly. We’ll give you a fast free quote, and get the right people at your place promptly to complete the work you require. We offer a complete range of property maintenance and home improvement services all in one place. You won’t have to hunt for multiple companies – with just one phone call we can take care of everything. You’ll get great results from us, every time. Our team members and business owners that work with us are all security checked and licensed or qualified in their areas of expertise. You’ll have peace of mind that our staff are trusted. We operate safely and securely, treating your home as if it’s our own. we provide a comprehensive report on what's required to bring the property up to code. This might include building-related, electrical, or plumbing work to be completed by our licensed tradespeople. in the early stages of listing a property, we provide a professional inspection of the property, outlining work that can make the house more presentable and therefore more valuable to the market. we provide professional no-obligation ideas on new bathrooms, kitchens, outdoor decks and pool surrounds and extensions to improve the value and enjoyment of their home. Book an obligation-free property inspection and consultation with us. We’ll give you free advice and tips on the most cost-effective ways to make sure your home is at its best prior to listing, and to maximise the price at sale.